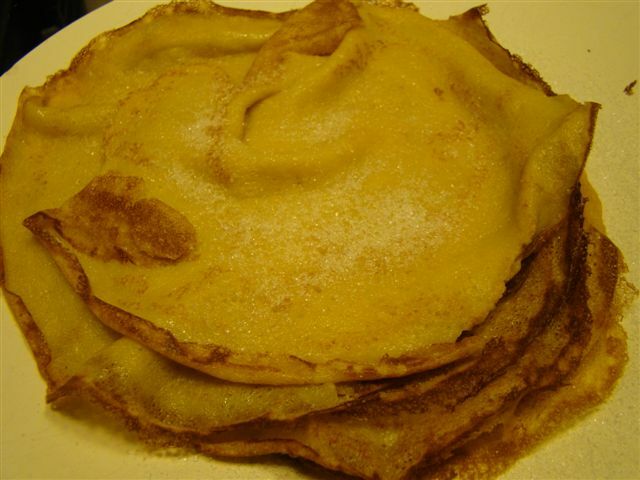 Posted on 21 February 2014, in French Fridays with Dorie and tagged crepes, desserts, French Fridays with Dorie. Bookmark the permalink. 13 Comments. Wow – Howard approved!! 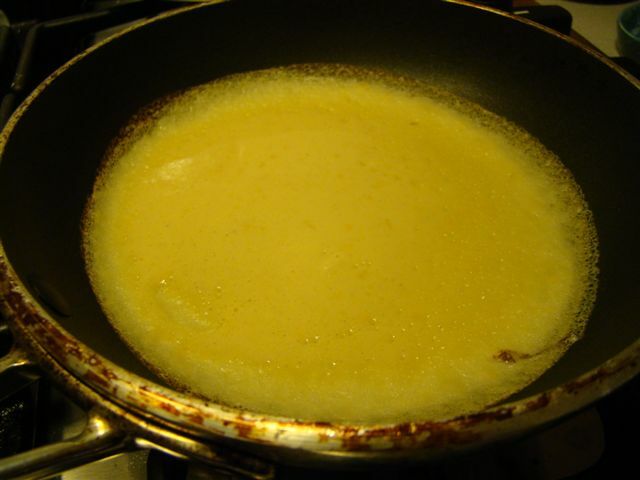 I think it’s a definite art getting the crêpes “just so” – I need a proper pan! I am sure Howard liked them…what’s not to like! I laughed out loud when I read your gaslight comment! 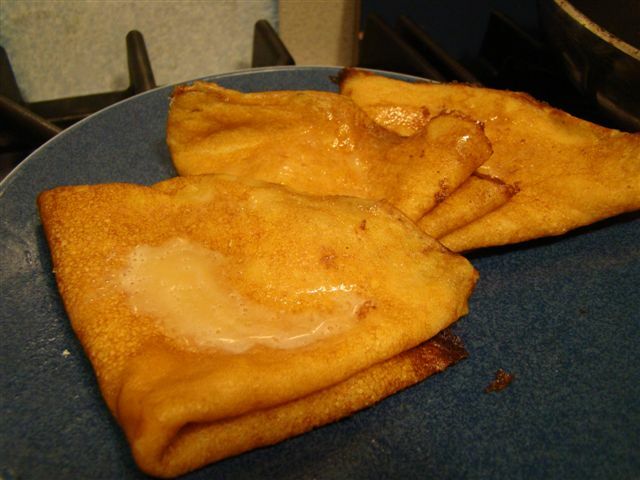 We truly enjoyed these crepes…they were definitely a hit in my house! I used to have one of those crepe makers…I even wrote about it today! A good crepe pan is so much easier to use. Have a wonderful weekend, Betsy! Always love your honesty, Betsy! I got myself a crepe pan and giant spatula from Crate and Barrel. It’s great. I like to fill special breakfast crepes with marscarpone cheese (that you’ve pre-mixed with 10x sugar and almond extract), and sliced strawberries. Top with a few more strawberry slices and toasted, broken pecans. Add some blueberries for extra joy. Your nona fingers comment made me laugh – because that is so true. Nice Job. I’d love to check out the crepe recipes you have. Please share! 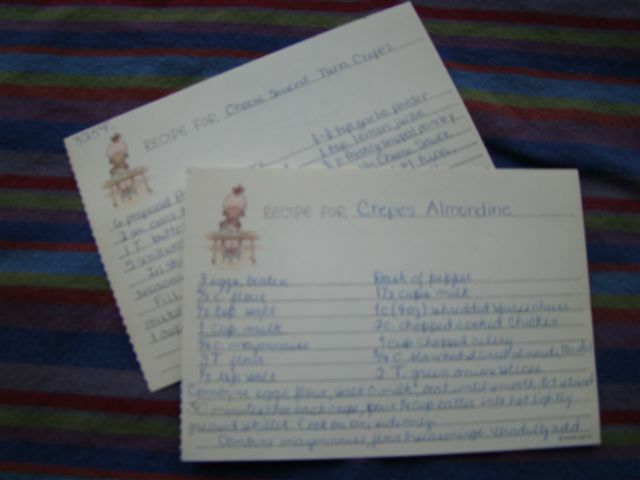 Betsy, love your recipe cards for crêpes and so glad to hear that they were approved by Howard – they look wonderful and, yes, I agree, they can be a bit tricky to make! All the more reason to make them again?! Your crepes turned out great! Nonna fingers are required indeed. the big boss. Yours really look wonderful. These crepes were delicious. You did a great job. The thing I like about crepes, is that even when they aren’t perfectly pretty they still taste good. Paul threw away my leftover sauce without consulting me. I was not happy about it! I’m glad Howard enjoyed these as well. Betsy, your crepes look great. I would never know you struggled with them. They really were tasty weren’t they? I guess I will continue trying to work with my pan. I have a non stick that I’ve used before but they sloping side issue is what made me think I wanted a crepe pan. Time will tell I guess. I think my husband had the same reaction as Howard: “they’re alright”. Not really his favorite type of dessert, but he did clean his plate!